David Osimo went to Forum PA to hold a keynote on e-government 2.0. He had perhaps the highest profile slot to address Italian public administrations, short of a cabinet appointment. Despite the success of his presentation, he is ot happy: everyone seems to agree that wiki government is a good idea, but there is very little action in the matter. Furthermore, he feels that the existing e-gov 2 initiatives are too elitist: designed, he says quoting the New York Times, for Lisa Simpson, not for Bart. David is somewhat disappointed. Maybe he is right on European public administrations being too conservatives, his viewpoint is certainly more panoramic than mine. As for the elitism of wiki goverment, I think that’s a feature, not a bug. It works like this: in an oriented environment (i.e. where the values of rational open discussion and of meritocracy are shared and continuously reinforced: this makes all the difference) Internet-based tools filter the best contributions and bring them to the forefront. 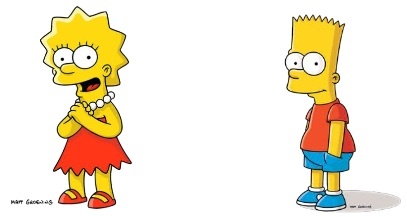 Lisa Simpson quickly becomes a star in the community. Bart finds it hard to produce quality content, so his contributions are normally ignored. The difference in quality is amplified by the continuous quoting and liking of Lisa’s contributions, so that the Internet-based community enhances the difference in prestige between brother and sister, leaving the former way behind. Peer-to-Patent, Evoke and Kublai are networks in which almost all the action is in the top one or two percent contributors. I explain this far better in Chapter 9 (of my forthcoming book: btw, you are very welcome to collaborate to it, click here for an English explanation). Why do I like it? Because, if access to the system is open and encouraged (and this makes all the difference too: I discuss this in Chapter 11) and if the system is merit-based, e-government 2.0 is both more effective and more fair than old-style participation. For the same reason: namely, that it selects an élite which is not the usual old boys network, but rather a merit-based, emergent élite in which Lisa is gong to be a leader – as she deserves to be – rather than watch from the sidelines as Mr. Burns runs things in Springfield. As for Bart, the door has to stay open for him; but in the meantime, having Lisa rather than Burns in charge is a hell of an improvement, if you ask me. 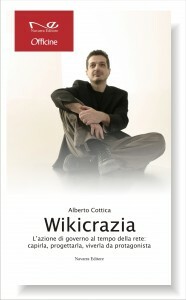 This entry was posted in Open government, Wikicrazia and tagged Bart Simpson, e-government 2.0, EVOKE, Kublai, Lisa Simpson, meritocracy, meritocrazia, Mr. Burns, Peer-to-Patent, politiche pubbliche, public policy, Wikicrazia on 9 June 2010 by Alberto. c’è solo un aspetto, Alberto, che rimane da sviluppare e che credo generi la frustrazione di David: quando e come le elite meritocratiche guidate da Lisa incideranno concretamente e direttamente sui processi decisionali dei mr. Burns. mi dirai che già oggi in parte succede, che soprattutto nei governi locali non si può non tenere conto del rumore della Rete per indirizzare le politiche, che (alcuni, illuminati) blog contribuiscono a formare senso civico…ma sono ancora situazioni minoritarie e fragili. la mia valutazione è che in alcune città esistano OGGI le condizioni per sperimentare quelle soluzioni operative che va cercando (se ho capito bene) David. Paolo, Mr. Burns c’era anche prima. La rete sposta il bilancio del potere verso Lisa, anche se magari non lo sposta abbastanza per avere un “governo Lisa”.